MUM. FEMINIST. SIZE 26. SUPERMODEL. LOUD. PROUD. BODY ACTIVIST. BEAUTIFUL. BUSINESS WOMAN. HOMEMAKER. CAT OWNER. FUNNY. OUTSPOKEN. WIFE. DAUGHTER. LOVER. FIGHTER. SURVIVOR. 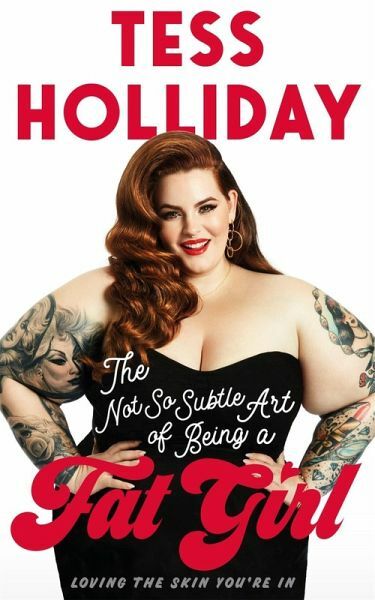 Tess Holliday is many things and perfect is not one of them. But she loves her imperfections - after all they've formed the woman she is today. Tess's number one rule in life is to love yourself - no matter who you are, where you come from, what your faults may be and what dress size you wear. It's this discovery that has helped her through everything from a difficult childhood, being abused and bullied about her weight, to fending off social media trolls. Now here in this amusingly candid account, the woman at the forefront of the body positive movement, who has been credited with transforming the fashion industry, explains why you should be happy to make mistakes but learn from them, love your imperfections and be comfortable in your own skin - no matter how much you have! A UK size 26, Tess Holliday is the largest supermodel to be signed by a major modelling agency, Milk Management, and has fast become a global phenomenon. Tess is credited with really shaking up the fashion industry, forcing it to question the norm, and spearheading the body positive movement with her #EffYourBeautyStandards campaign. A hugely popular social media star, she has more than 1.4m followers on Instagram and 1.6m on Facebook from around the world, especially the UK and Europe, US, Canada, ANZ and Mexico. Tess attracts a lot of press attention - she was a cover star for PEOPLE Magazine and makes regular appearances on Mail Online, The Telegraph, Buzzfeed, The Guardian, Independent, Marie Claire, Glamour and Cosmopolitan. She was voted one of the top six plus-size models in the world by Vogue Italia and made TIME magazine's 30 Most Influential People on the Internet. Tess is married and lives in LA with her husband and two children.